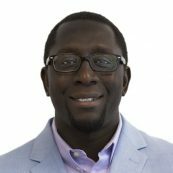 Moussa Diouf is the Chief Financial Officer and Vice President of Finance and Administration at PYXERA Global. He is responsible for financial operations, human resources, information technology, and administration. As CFO, Moussa has responsibility for upholding strong financial management and accountability while providing timely, accurate and reliable financial information and enhancing internal control. Moussa joined PYXERA Global as a controller in February of 2007. From 2000 to 2007, he worked for the Vietnam Veterans of America Foundation, an International non-profit organization and winner of the 1997 Nobel Peace Prize. There, he held the position of Senior Accountant for four years before being promoted to Controller in 2004. Moussa holds a bachelor’s degree in Accounting with a minor in Finance from the University of the District of Columbia. He earned a master's degree in Business Administration from the Johns Hopkins University, Carey Business School.